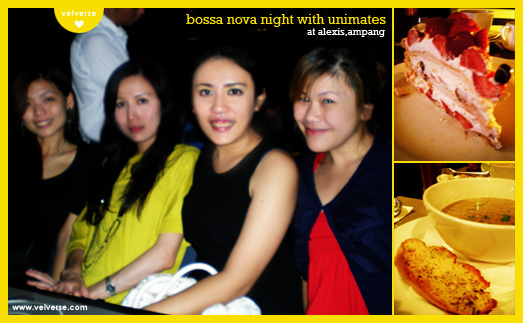 A jazzie Bossa Nova Night at Alexis with my fellow unimates. Wonderful night, but I seriously hate how the place has transform into. The food is still wonderful, especially the pavlova! Ganesh is the BIG BOY of the day!